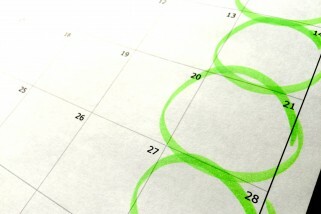 This may seem like an odd topic for my mostly technical blog, but allow me to explain. I’ve been on a Grilled Cheese kick for a while. And I repeatedly ran into a problem. My grilled cheese would be nice and crisp around the edges but soggy in the middle. This led to a Google Search – “crispy grilled cheese” and variations. One of the top results was from Kraft. That recipe called for baking your Grilled Cheese and using Parmesan for extra crispness. 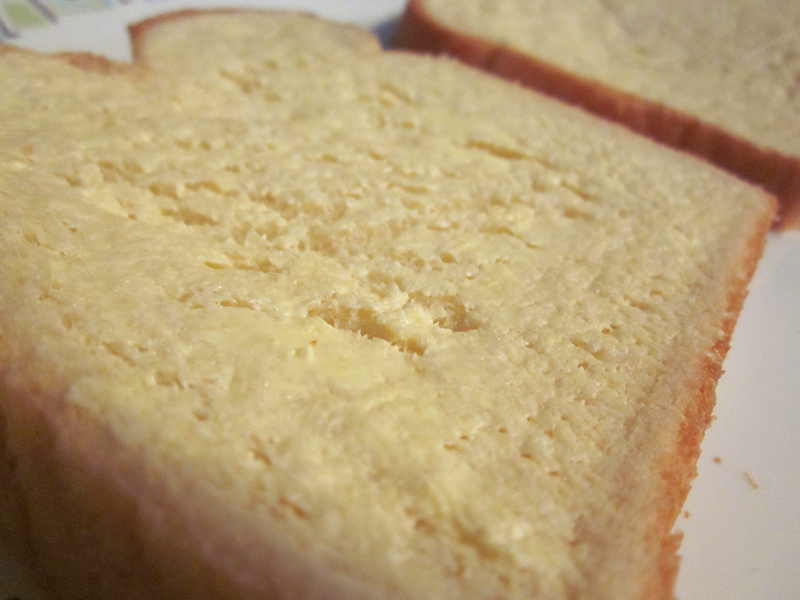 While the flavor was rich and improved, the baked edges of the bread were too crispy and the middle was still soggy. Some of the other results recommended baking and cooking in the skillet. Some said lots of butter. Some said light butter. Some said low heat. I tried a few and wasn’t pleased. So I did my own set of experiments. There might have been a spreadsheet involved ’cause that’s how dorky I am. But now the experiments are done and I have the result: a Perfect Crispy Grilled Cheese. Your first step is to heat your skillet. The best choice is a small non-stick skillet. Set your stove top to between Med-High and High. The key here is to LIGHTLY and GENTLY butter the bread. You want the thinnest coat of butter that you can spread from edge to edge. 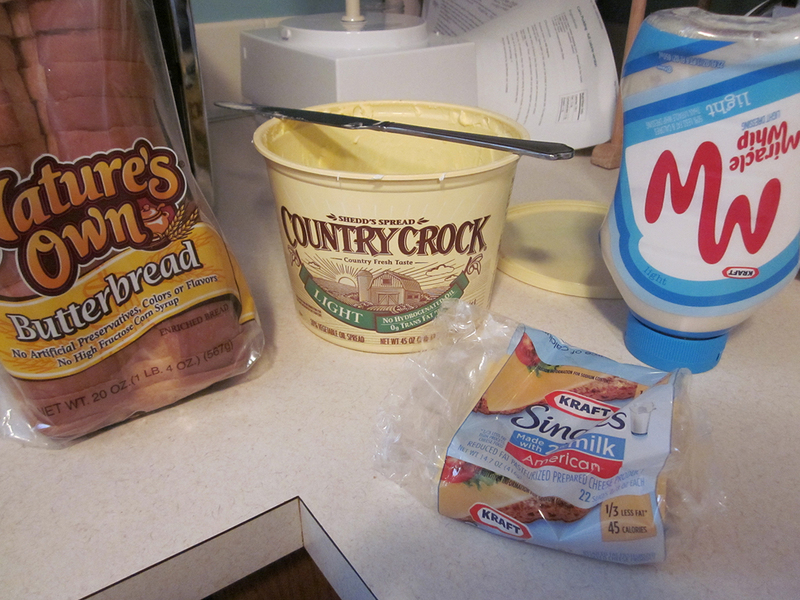 Margarine is a great choice because it spreads well. Don’t press down on the bread or it won’t brown well. Don’t over-butter it or it will get soggy. You should now have 2 pieces of bread sitting on your plate buttered-side-up. 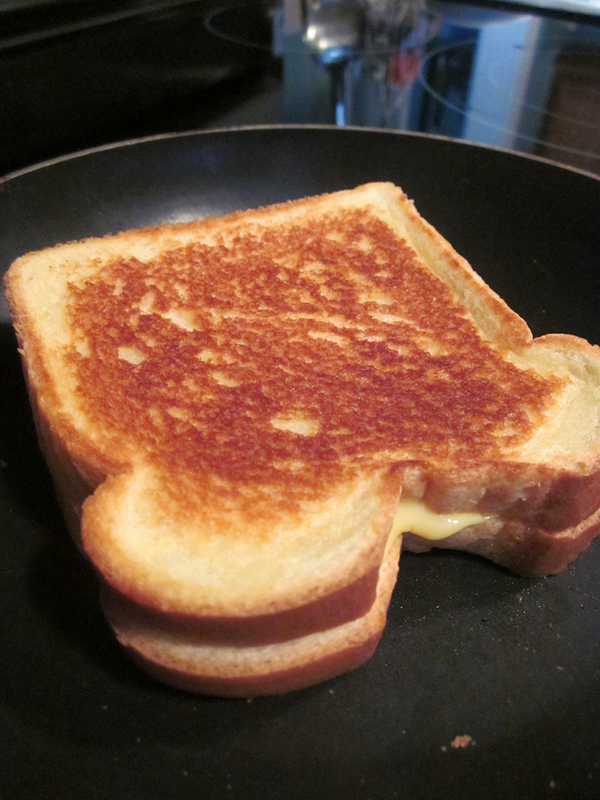 The trick to getting a Perfect Crispy Grilled Cheese is to place your cool, buttered bread in a HOT pan. If you don’t hear a sizzle, you’re not doing it right. Make sure the pan is hot. 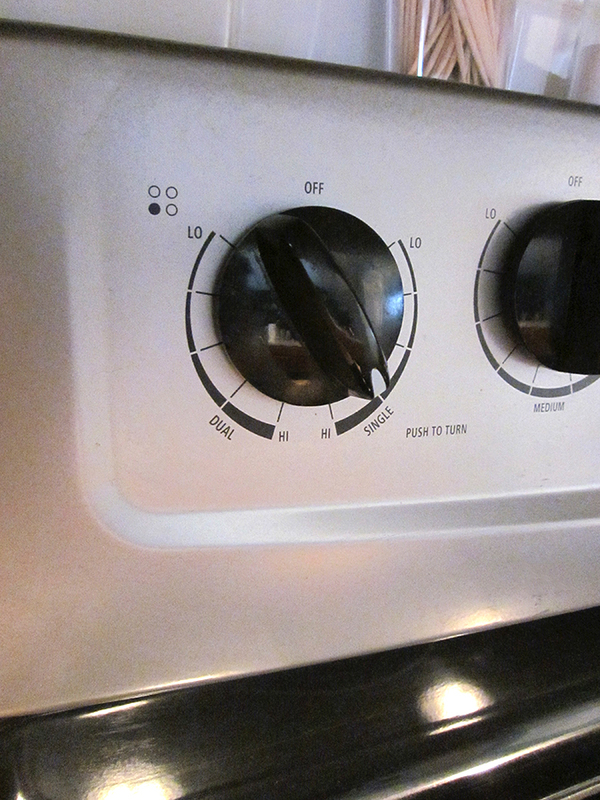 This means a little patience, and if you’re not sure, drip a bit of water on your pan and see if it sizzles. When the pan is hot, put your bread on the skillet then put your toppings on the bread. If you’re a purist, this means just cheese. You may like to add a little mayo. If you’re adding ham or turkey. 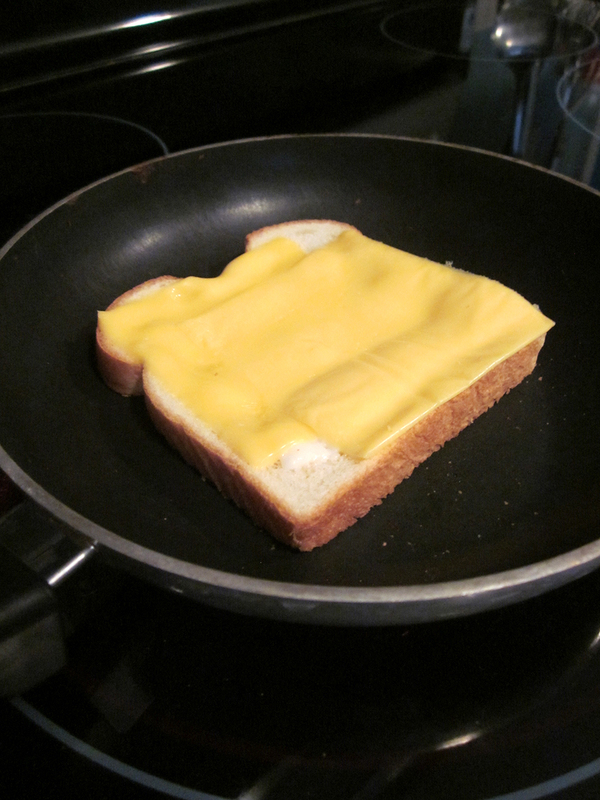 warm it in another skillet or the microwave before putting it on your bread, and put the cheese down first. Then let it cook for 3-4 minutes, depending on your stove. DO NOT put the other slice on top yet. #4 Put the Top on and Flip It! Again, the idea is that you are putting a slice of bread with cool butter directly on a hot pan. If you put the other slice on top too early, the heat will melt the butter into your bread, making the bread soggy. Let the second side cook for about 2 minutes. This side cooks a little faster since the pan is hotter. Put your Perfect Crispy Grilled Cheese on your plate, take the hot pan off the hot burner, turn off the stove, add a side of your choosing (mmmm… tomato soup) and enjoy! That’s 280 calories, 30g Carbs, 13g fat, and 14g protein. The takeaway is that you need to lightly butter your bread with cool, spreadable butter or margarine. You then need to make sure that cool, buttered bread goes into a hot pan. 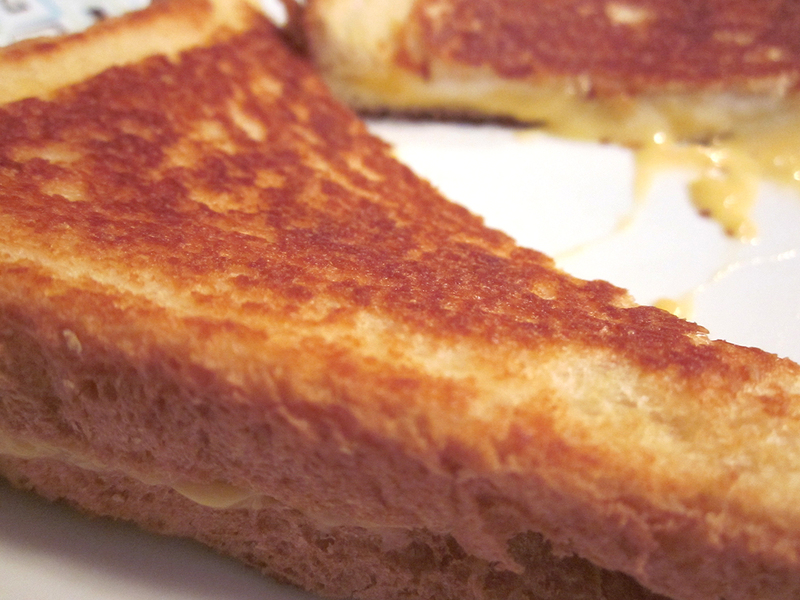 It’s Perfect Crispy Grilled Cheese joy.